How much should I print at one time to save the most money? Even if you are in a line of business where most of your work is done electronically, the printed page has a power that is undeniable. Business cards, sales flyers, and printed newsletters give a physical dimension to corporate communications that email and social media cannot match. A commercial printing company can create sales materials that have a low cost and a high return on investment, but there are many things to consider before you begin a print job. Whether you are printing full books or sales circulars, the level of profit that you will enjoy once your campaign is finished will be determined by your ability to keep your printing costs as low as possible. 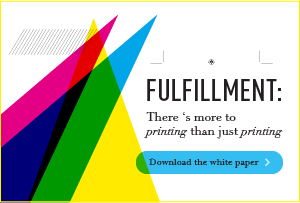 Although there are many options that you can pursue when it comes to what volume you can print at one time, it is important that you chose the one that will get the most out of the money you put into it. Here are some questions that you need to answer before engaging the services of a commercial printing company. How can I minimize the pre-production costs? Before there is a single word printed on paper, your commercial printing job will incur several upfront costs. These will be realized in the number of individual jobs required to get the print run ready, such as file preparation and other administrative tasks. The best way to mitigate these costs is to reduce the number of individual jobs your company commissions. These costs can be held down by scheduling as many jobs as possible together to maintain a high minimum order. This will save on both pre-production costs and material expenses. What is the job size that will maximize my profits? You may have a general idea of the campaign you want to run, but in order to maximize your profits you need a little more certainty. If you are putting out a printing product and you are just not sure how many you will need, print on demand may be the service to use. This will assure you will only print the number of pieces that you actually need. This ensures that you are not stuck with a bunch of extra copies once a campaign is over. Large savings can be realized in bulk printings, though, so estimating the print run that you will need to fulfill the campaign will help you to keep expenses as low as possible. 1. Combine print jobs: Do you have two or more jobs that you could combine into a single print run? If you have separate jobs that can be similarly formatted you may be able to get a significant volume discount by combining jobs. 2. Choose the right paper: The printing material that you select may make all the difference. Closely assess your needs and see if there is a discount that can be found on a paper that matches those needs. 3. Bundle services: It may be possible that your commercial printing company offers a service package where the overall expenses may be lower. For example, they may be able to handle supply, labor, shipping, and fulfillment services in one package deal. Take advantage of any such offers if the quotes are competitive with other services. Small discounts can add up over the long term if your campaign's duration is extended by initial success. The new year swept into companies everywhere with new initiatives. Not surprisingly, the one we keep hearing about is COST SAVINGS! It’s great to have a friendly business relationship with your printer. You know, the sort of relationship that you can rely on to provide help when you need it for things like printing advice, creative direction, or savings. With the New Year well on its way, now’s the ideal time to look ahead at your company’s future printing needs. Whether you can look ahead a quarter or a full year, print job advance planning can save you a bundle.